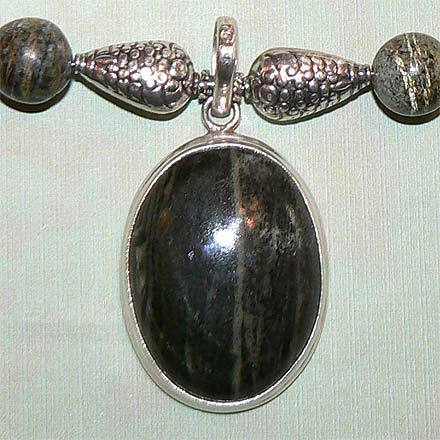 Sterling Silver Zebra Jasper Necklace. See Closeup. 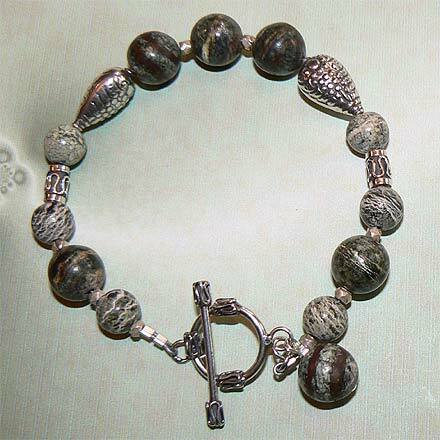 Sterling Silver Zebra Jasper Bracelet. 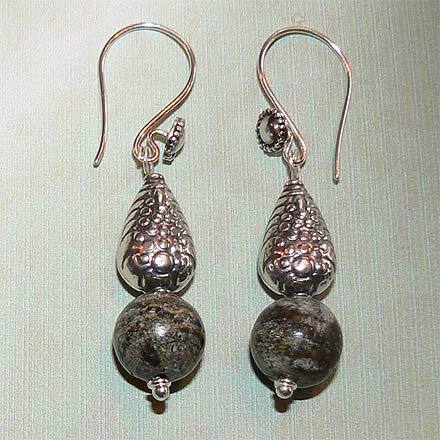 Sterling Silver Zebra Jasper Earrings. 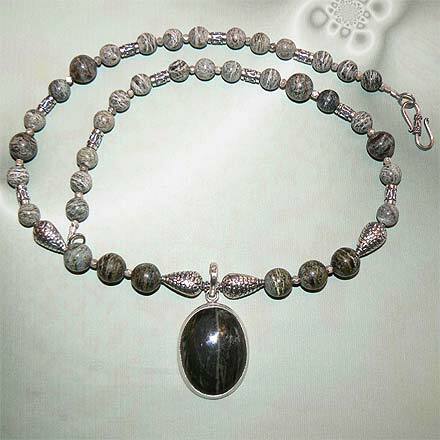 A tranquil dark green pendant with highlights of cream (1.8") hangs from the 21¾" necklace. The matching bracelet is 8¼".